Oddsmaker is an extremely controversial online bookmaker. And as much as I wanted to believe them to be a legitimate business, I just cannot get over all the negative reviews. Let’s start with a bit of history. 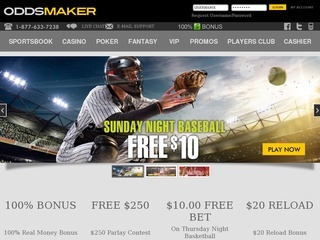 Oddsmaker is an online bookmaker that has an all-in-one website. You can find sports, casino games, fantasy betting, and poker there. The business launched in 1998 still on the dot-com version of the current website. Oddsmaker was a part of the Futurebet organization. The company was known for the dubious practices it procured. Eight years later in 2006, the transition to Oddsmaker.ag happened. Futurebet was forced out of the US market and continued to look for clients outside of America. Futurebet runs several other businesses and, to be fair, all of them have a somewhat bad reputation. The big trouble, however, started immediately after Jazette bought Oddsmaker. The new management began confiscating and blocking accounts that were winning more significant sums of money. Aside from this, Oddsmaker started pushing out special offers for $50 bonuses with impossible rollovers of 30x, no parlays and no long shot bets allowed. There was also the requirement to have an account balance of $1500 to be able to cash even in the bonus. The essence of this bonus is awful by itself, even more so that very few of the bookie’s customers were able to meet the requirements. 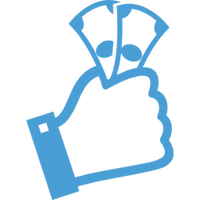 Oddsmaker also wrote a positive review on their website, stating that all the reviews on the Internet are positive. This is a fascinating occurrence since during my (quite long, I must say) research I only found negative reviews and frustrated clients. SBR even gave the bookmaker a score of F, which is the worst an online bookmaker can get. As of recently, Oddsmaker is blacklisted in some well-known and trusted review websites. It seems the bookie only caters to low bets and recreational players. Oddsmaker sports a mobile version of the site for your leisure. The number of various sports you can bet on Oddsmaker is 13. Football is number one, but you can also bet on Golf, Tennis, Boxing, Horse Racing and more. The sports book itself is very minimal regarding colors and information. To be fair, the market coverage is indigent, compared to other bookmakers I have reviewed in the past. In football, you can see few games – in the range of two-three digits. Most other bookmakers show over a thousand games and markets every day, especially during tournaments. The casino games section provides a nice number of options. Players can enjoy several varieties of Blackjack, 3D slot machines, table games, video poker, regular slots, and Keno – the lottery-type game. Oddsmaker runs various tournaments, and there is a clear schedule when you can participate in one. The progressive jackpot is currently set at $720432, but this number will be different when you decide to try it out. 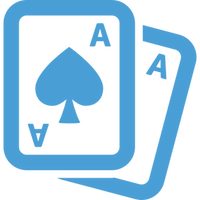 Some of the most popular games on the website are Blackjack, The Slotfather, Aces High, Coral Cash and Aztec Treasures. Oddsmaker has a different domain name for the Poker section. You can test it out by downloading the provided software and checking in to play some games and decide if you want to throw in any cash. For mobile devices, you can instantly play the game without downloads, which is a big plus. Various tournaments take place, and there is a schedule you can check to see the exact times. The odds on Oddsmaker are okay, but the markets are extremely limited. You can only bet on winning team, tie and total goals scored. This is unacceptable in 2016 since most online bookmakers out there offer more than 50 markets per game on average. Other than that, it’s the usual – you can win the most if you bet on the underdog team, but this carries the biggest risk for your money. Oddsmaker’s website does not utilize a connection encryption like all other bookies do. This means that the website is an easier target for hackers and your data, and the information is not safe from external factors. It’s also good to note, that the bookie hasn’t been able to get licenses from any good play organization. The support department can be reached by phone, live chat, and e-mail. Live chat availability hours aren’t specified anywhere on the website. Oddsmaker supports quite a bit of banking options, but it’s worth noting that credit cards can be used for deposits only. You must withdraw cash from e-wallet services or bank draft/wire. The minimums are abysmal, especially for bank wire – $2500 minimum to be able to remove any money. Maximum deposits and withdraws are aimed towards secondary players. 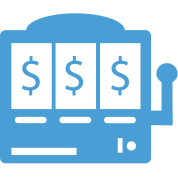 Be wary, if you simply want to bet recreationally some money, you might not be able to withdraw your winnings. The only supported currency is the dollar and the only language the website supports is English. The welcome bonus consists of a 100% top up to $1000. There are also various cash-back offers you can make use of, like a 20% casino cash back. Tuesday and Thursday you can get a 20% reload bonus that is capped at $100. The rest are timed offers, tied to various current sports events. Check them out if you are interested!